The Shock Wave Power Reactor technology represents a new and innovative way to apply energy to liquids. As a liquid passes through the SPR it is subjected to “controlled cavitation”. The heart of the device is a specially designed rotor that spins. 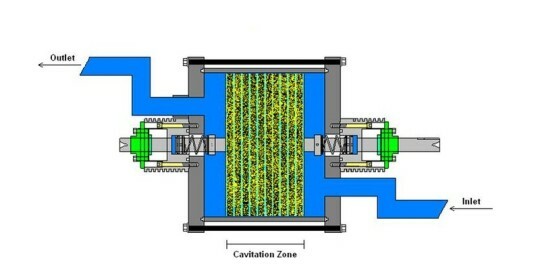 The spinning action generates hydrodynamic cavitation in the rotor cavities away from the metal surfaces. The cavitation is controlled and therefore there is no damage. As microscopic cavitation bubbles are produced and collapse, shockwaves are given off into the liquid which can heat and/or mix. During the past several years of intensive research, Hydro Dynamics has studied the production of shock waves for the purpose of transforming fluids. The SPR represents a paradigm shift for industry and is truly a next generation technology.